Stolichnya. Vodka from the only place on earth where it's legal to pay someone in vodka. You make all the time Tweet and Facebook. But you need help sound more strong. Like strong Russian bear. Or strong Russian mother. Or strong Russian mother fistfight strong Russian bear (long story). 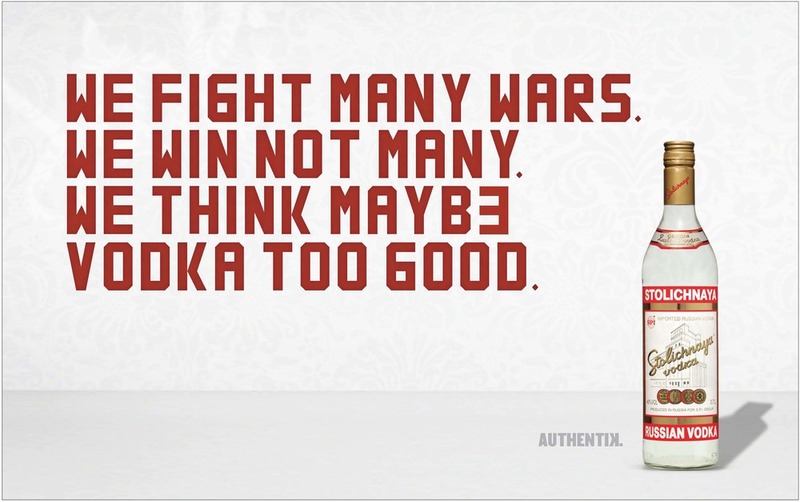 You make use “Authentikator” application from Stolichnaya. Design by former nuclear scientist, Authentikator translate any time you make post about sandwich, or happy birthday to Facebook friend but not friend. So you make sound more strong Russian power. Less American grammar. Stoli on the rocks? Authentic. Stoli on the rocks that came from real, Siberian ice? AUTHENTIK.